Every time that Vas release a record it should be cause for celebration. Azam Ali has the best voice in music today, all of music (with maybe the exception of Loreena McKennitt). Her vocals weavings flawlessly flow from the styling of India to Middle Eastern to Medieval Europe. No one else comes close to her vocal style. And on Feast Of Silence she does something that she's never done on record before: sing in the English language. Her vocals are enchanting, weaving sound tapestries of ancient and exotic lands, of love and loss. Simply her vocals are mesmerising. Greg Ellis is a very accomplished musician and one of the best overall drummers in world music. Several guest musicians play on Feast Of Silence including Deepak Ram (bansuri), Pejman Hadadi (tombak) and Cameron Stone (cello). Stone also played on their last record, the wonderful In The Garden Of Souls. Too many times I have read where Vas are compared to Dead Can Dance or Axiom Of Choice. Well yes, there are similarities but after four distinctly original recordings as well as two solo recordings Azam Ali and Greg Ellis are in a league of their own. Quite simply this is some of the best world music being made today. Feast Of Silence contains some of Vas' best songs, Amrita ("Churning the Sea of Milk"), In Our Faith, Kali Basa and the uniquely wonderful Egyptian and Moroccan-influenced song Bardo - which is immersed in ecstatic drumming and spiritual vibe. 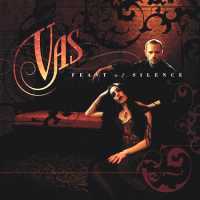 Feast of Silence is a wonderful continuation of the Vas tradition. The depth and richness of this record is astonishing. They have forged their own sound and identity, and get better with each record. I cannot sing their praises enough. Do yourself a favour and see them on tour, their music translates well live.